An amazing church called the Church of the Gesù (Italian: Chiesa del Gesù, officially named Chiesa del Santissimo Nome di Gesù all’Argentina (English: Church of the Most Holy Name of Jesus at the “Argentina”), is located in Rome, in Piazza del Gesù in the district of Piazza Venezia, and belongs to the 16th century, the period of the early Baroque. The church is the core of the Jesuits sanctuaries belonging to the Society of Jesus. Holy relics, unique sculptures and magnificent frescoes made it one of the most outstanding art samples related to the Baroque style. 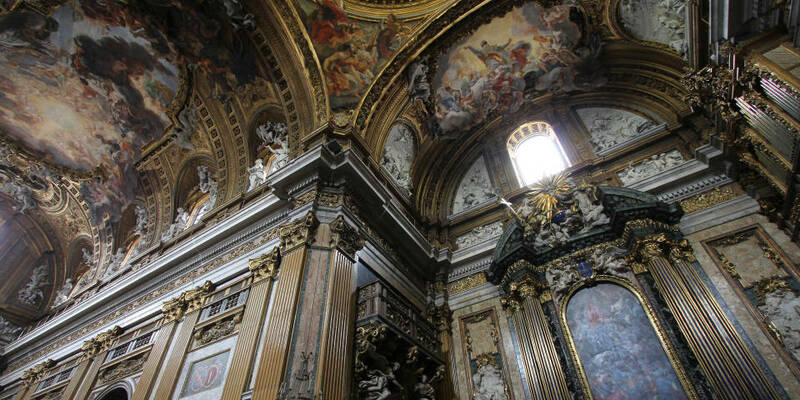 The church has an amazing Baroque facade, unmatched in whole Italy. Since 1568, the great architects, Giacomo della Porta and Giacomo Barozzi da Vignola, had been working on its design and construction. 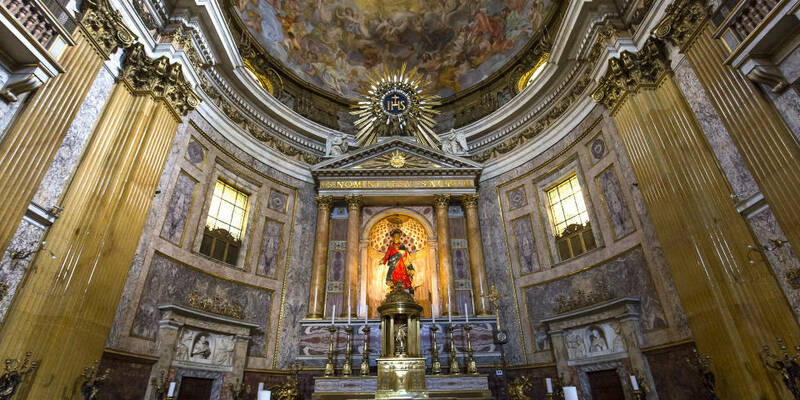 The church was built on the place of another sanctuary where, according to the legend, Saint Ignatius of Loyola marked the beginning of the Jesuits, having prayed before the icon of the Holy Mother. The image of the Madonna still adorns the chapel of the temple to the right of the altar. The church was rebuilt many times, but the rooms of Loyola remained untouched. Even the ceilings there are higher than in other accommodations. The Pozzo Corridor brings almost indescribable joy – it is a place where a journey in 3D space begins. On the floor, there is a point of pink encrusted marble, which will give you the appropriate angle to see the stunning illusionary perspective. This is where all the picturesque and architectural lines of a long corridor, designed by prominent architect, converge. 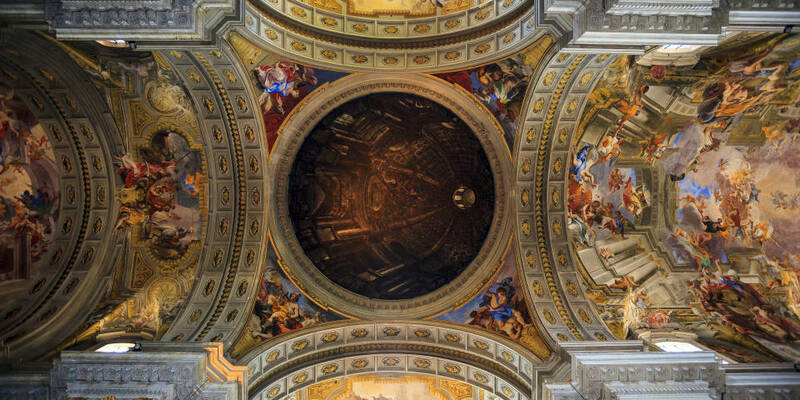 The most remarkable element of the interior is grandiose ceiling painting, made by Giovanni Battista Gaulli in the 17th century. The image adorns a main nave of the basilica. Genoese artist started this work when he was 22 years old. It was finished only for the fortieth anniversary of the master! Spectacularly depicted creatures create a stunning illusion of their floating in space under the ceiling, casting a shadow visually. However, in reality, a fresco is painted in a single plane! Chapel of the Madonna della Strada to the left of the main altar. It houses an icon of the Mother of God from the 14th century. Also, there is a museum that holds especially valuable artifacts relevant to the Jesuits. Museum Hours: Saturday from 04:00 p.m. till 06:00 p.m. Otherwise, you can book a visit to the museum at any time you want on the website of the church. 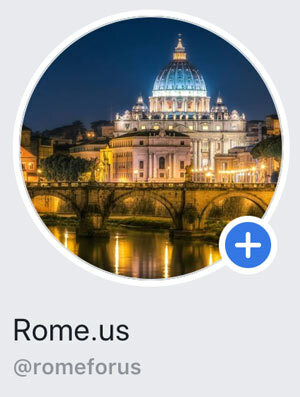 Bus №: 30, 46, 62, 64, 70, 81, 87, 492, 628, 916, (bus stops: Largo Torre Argentina or Plebiscito), and also you can walk on foot from Piazza Venezia. Opening hours: daily from 7:00 a.m. till 07:45 p.m.; break from 12:30 p.m. till 04:00 p.m.